N A I L S B Y J E M A: YouTube!!! Happy Thanksgiving to my American followers!! I hope your turkey was delicious & moist and that no one described it as moist. 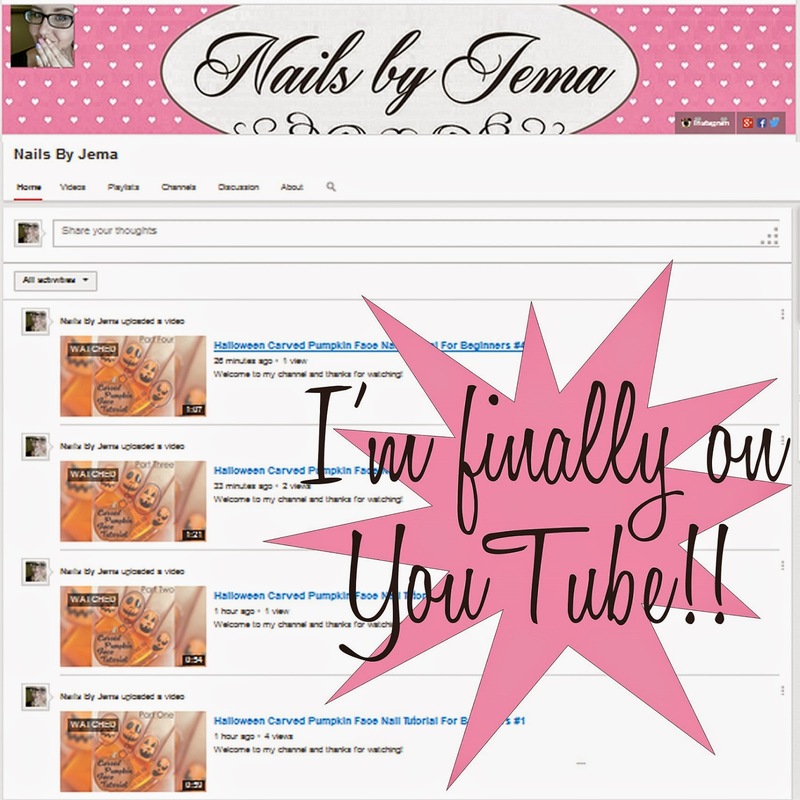 So I spent most of my day setting up a YouTube account! So exciting!!!! I finally got over how horrible I think I sound in narration and just did it. There is only 4 videos up so far, one video tutorial for each of my carved pumpkin face nails but that seems fitting seeing as I've heard pumpkins are a thanksgiving thing too!! If you want to check it out my channel is here. Your subscriptions and likes will guarantee a free puppy or kitten (depending on your preference).